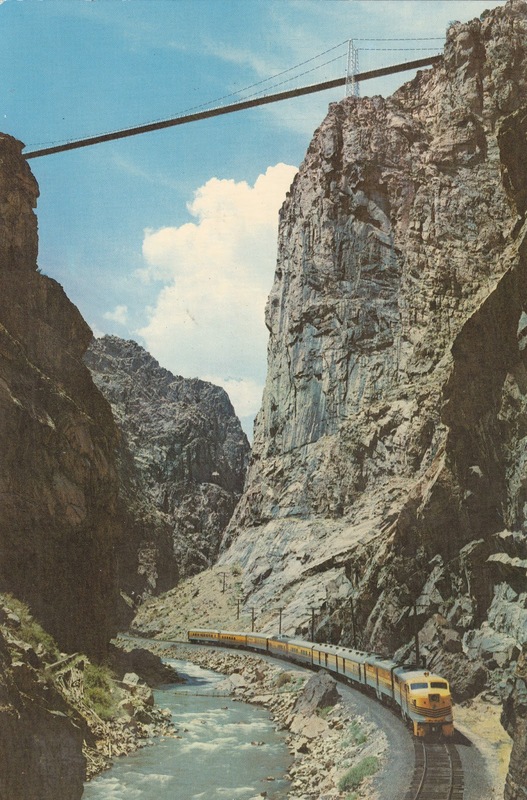 Postcard US-3689818 to Russia shows a diesel train in the Royal Gorge, on the Arkansas River, passing underneath the Suspension Bridge - "The World's Highest Bridge", near Cañon City, Colorado, Cañon City, with a population of 16,400 as of 2010 and known as the "Corrections Capital of the World for having nine state and four federal prisons and penitentiaries, is one of the few U.S. cities that have an eñe in its official name. Two train stamps, among others, were affixed to the card. 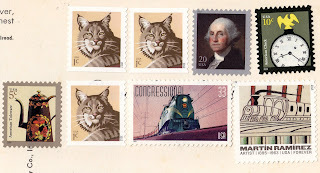 One was a 33-cent "The Congressional of the Pennsylvania Railroad" from a set of five 1999 stamps entitled All Aboard! 20th Century American Trains. 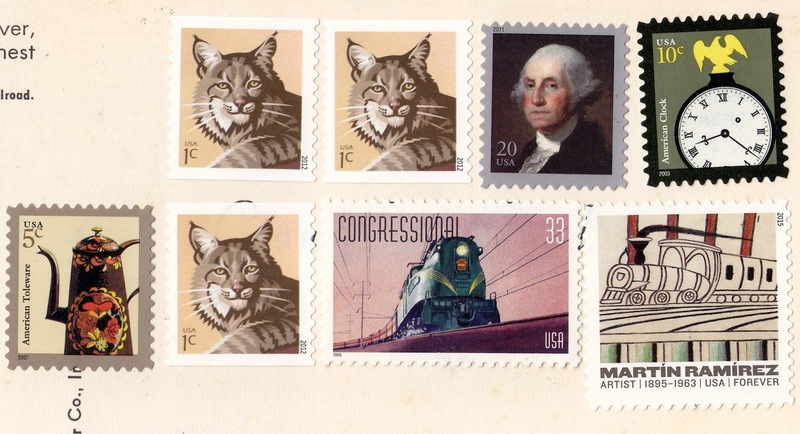 The other “Untitled (Trains on Inclined Tracks),” showing a gouache, colored pencil, and graphite drawing on pieced paper from circa 1960–1963, was one of the five Forever stamps, issued on March 26, 2015, featuring the work of Mexican artist Martín Ramírez who had been confined to psychiatric hospitals for more than 30 years. I had the sender's address since November 6, 2015. However, the card didn't get posted until December 4, 2015 due to delay from my training for my first half marathon and my encounter of a failed armed robbery. The card had since expired after 60 days, and it was automatically registered by Postcrossing on May 11, 2016 when the account of the receiver was closed.